On Thursday May 17th, 7th grade students will hold a walk-a-thon to raise money to provide clean water sources for children in South Sudan. They will be collecting money from family, friends, and businesses that would like to donate to this important cause. Anyone interested in contributing may contact Mrs. Kristi Babb at kristi.babb@russellvilleschools.net or call 479-968-2557. Students were inspired by the book, A Long Walk to Water, by Linda Sue Park. 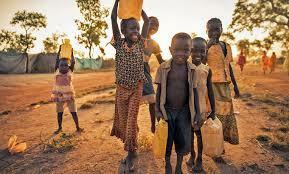 Go to http://www.waterforsouthsudan.org/ for more information and how you can help.